Olympia gives kids professional instruction and guidance to grow and excel – and to have fun while they do it! Campers can choose from over 90 programs in Sport, Leadership, Adventure, Art, Recreation, Self-Discovery and Fitness. 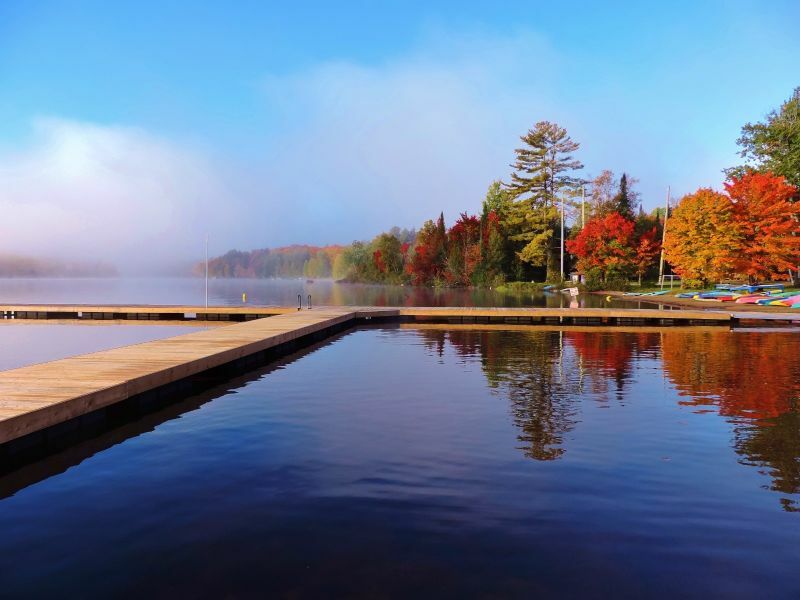 Campers get daily, personalized instruction from top university, college, school and club adult coaches, plus structured cabin time at our waterfront, high ropes course, zip line and more! Campers participate in training and challenging games that develop independence, self-confidence, life skills and teamwork. They meet and play with pro athletes and make new friends! - Over 40 acres of outdoor space/45,000 sq. ft. of indoor space. All sports camps seek to develop skills, and competition can, understandably, seem like a natural aspect of that process. Olympia, too, is certainly about skill development, though leadership navigates the competitive aspect particularly well—not shying from it, but placing it within a context of personal goals and goal setting. “It’s not about getting to the top of the climbing tower,” says Nicole Nicole Christamtsis, “it’s about getting higher than you did the day before. That’s an important lesson.” It is, and one that Olympia is very adept at delivering. Many campers are true keeners, arriving at camp with some very sport specific goals, and intending to build upon their prior expertise. That said, not all do, and there is a place for them here, too. For many campers, Olympia is an opportunity to try new things as much as it is building on existing skills. The programs are vast, with facilities to match, and the instructors bring professional coaching to all of them. The focus throughout is on building confidence, independence, interpersonal skills, encouraging campers to meet new people and try new things. The experience is challenging and active, in equal measure to recognition and reward. TAKE IT TO THE NEXT LEVEL AT OLYMPIA!!!! Dave Grace devotes his life to the personal and athletic development of young people. Continually 'researching the researchers' for the latest learning strategies and self-development techniques, Dave intricately interweaves his findings into the nurturing atmosphere, creating supportive and challenging programs at Olympia. Dave is a certified Sports Mind Performance, HeartMath, International Life-Coach and Licensed Resilient Education Instructor (HeartMath). "BioSteel Sports is excited to be involved with Olympia Sports camp in 2017 for many reasons. BioSteel is a sports nutrition company to which we pride ourselves in making the cleanest and safest products for all types of athletes. 75 pro teams from the NHL, NBA, MLB & NFL order product direct from us. BioSteel endorsed ahtletes are Dez Bryant, Tyler Sequin, Carey Price, Mike Cammalleri, Hunter Mahan, Jordan Spieth, and soon to announce a few more. . .! BioSteel is the preferred choice to high end athlete's as they can appreciate the performance attributes, as well health advantages. BioSteel brand continues to grow in professional sports environment across the world, with distributors in Asia, Australia, Europe & Middle East. Our Olympia relationship will be based around our High Performance Sports Drink #DrinkthePink - with no sugar and only 6 caleries per serving, our sports drink is becoming preferred choice with parents for their children's consumption. All of the negative literature based around sports drinks and youth consumption is tied to 'sugar consumption' which has been well documented as a major issue facing youth and growing bodies. BioSteel is also excited to be involved with Olympia to expose our product line to more ahtletes during the summer and the high level basketball tournaments played at camp in the spring and fall." Breaking News! Olympia announces new partnership with MEtoWE! 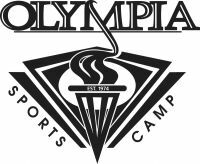 Interested in Olympia Sports Camp?